I loved the atmosphere of this coffee shop. It’s decorated with walls of books, tea lights and vintage and pop culture art on the walls. I ordered their traditional breakfast with a pain au chocolat, a capuccino, fresh orange juice, with home-made jelly and baguette. This is a great way to start your day! Something that didn’t stop amusing me is that you’d be walking down the street and then you see these beautiful pathways. This famous bell was a 15th century addition to the remains of the 13th century Porte Saint-Eloi. It was also called Gate of St. James as many pilgrims passed through here following the St. James’ Way on route to Santiago de Compostela. The bell would be rung to warn residents of fires, foreign attacks or important events. 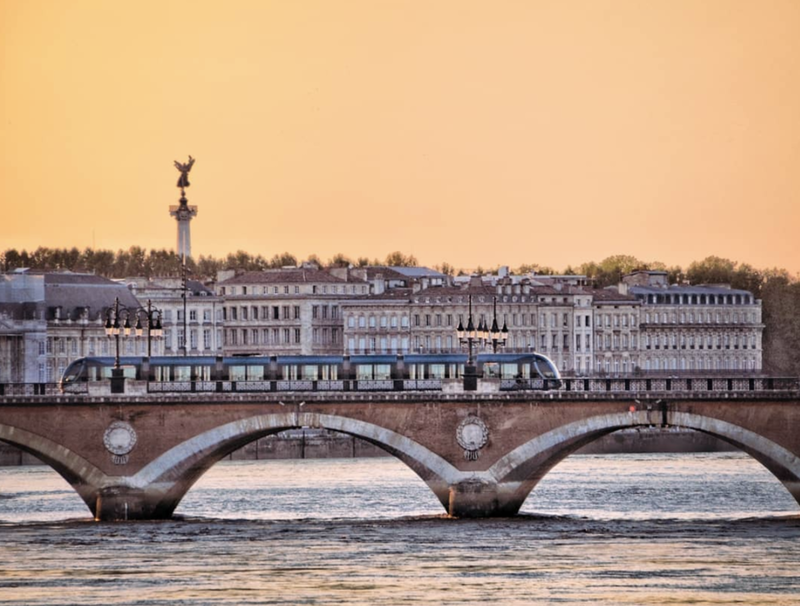 Bordeaux’s stone bridge connects the historic city center on the left bank of the Garonne River to La Bastide on the right bank. It was commissioned by Napoleon and the first bridge to span the river in Bordeaux. The bridge has 17 arched supports or piles (the number of letters in Napoleon’s name) and each support has a white medallion in honor of the French Emperor and bears the city’s coat-of-arms. Place de la Bourse is a landmark and symbol of Bordeaux. In 2004 the square underwent a complete make-over as part of a project to redevelop the docks and install tram lines. The Water Mirror (Miroir des Quais, Miroir d’eau) was installed in 2006. This water instillation consists of a shallow amount of water covering an expansive area of 3450m² on the square. It is the world’s largest water mirror. It creates a reflection of the surrounding 18th century buildings. Bordeaux’s monumental heart, really is a triangle, bounded by three fine boulevards (Cours Clemenceau, Cours de l’Intendance, Allées de Tourny). Take a stroll amid the harmony of honey-coloured stone, architectural sobriety and flanking trees, past top-end shops, bars and restaurants. The focal point (though it’s actually on the edge) is the Place de la Comédie, overseen by the Grand Theatre with its magnificent neo-classical façade. The Corinthian columns announce a blue and gold auditorium as sumptuous as the inside of a courtesan’s jewel box. 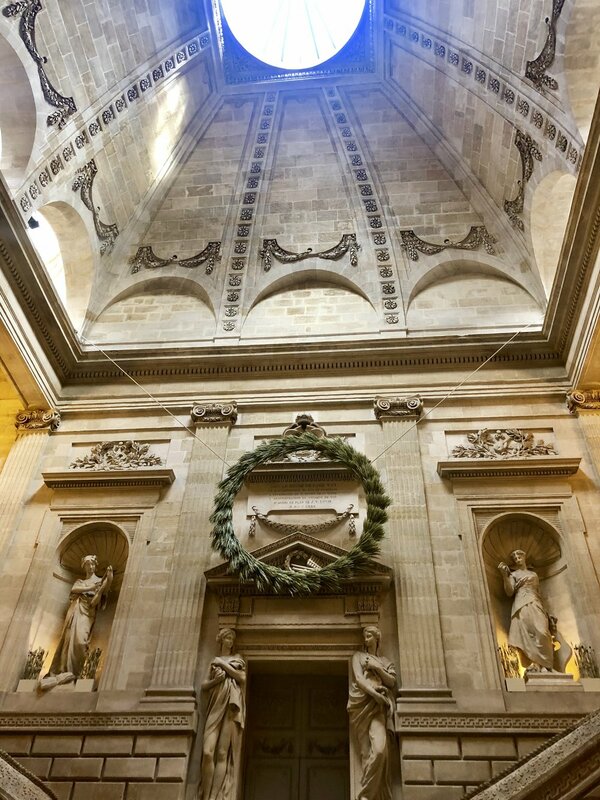 The best way to experience the place is, obviously, at a concert, but there are also 45-minute guided visits which, off-season, are on Wednesday and Saturday afternoons at 2.30, 4.00 and 5.30pm. Tickets are €6 (£5). The grand, elegant landmark is considered one of the most beautiful in Europe. It was designed during the reign of Louis XVI. The interior is even more beautiful than the exterior. 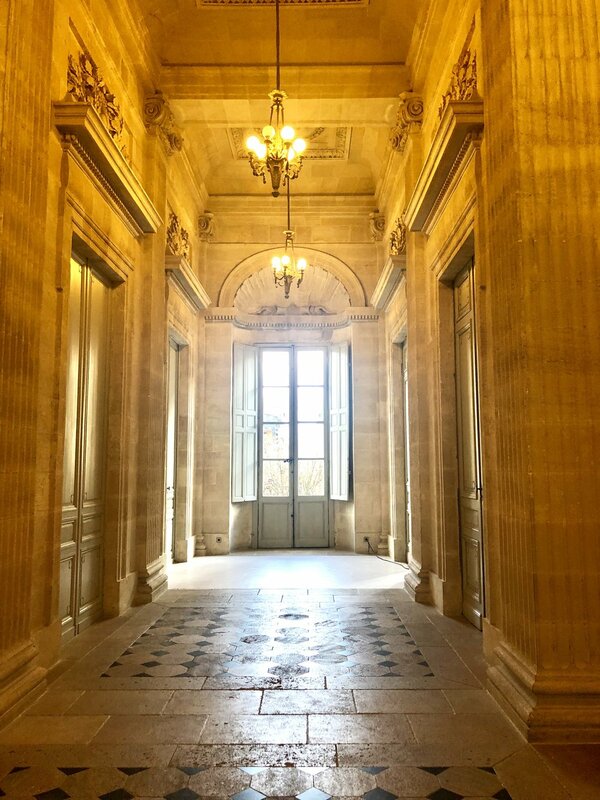 There are grand statues, sweeping staircases and beautiful ceiling murals. The main auditorium is the color of French royalty, blue, white and gold. 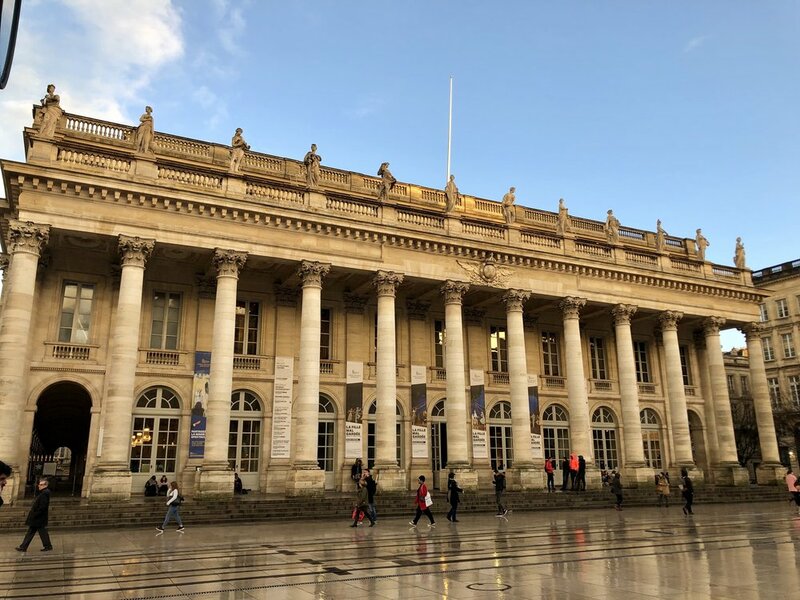 The Opera National de Bordeaux and the Ballet National de Boreaux are based in the grand theatre Bordeaux It is possible to visit the theatre for a performance, to take a tour led by the Bordeaux Tourism Office or to see exhibitions. Wow i know there are a lot of churches and cathedrals all throughout France, but this one really is STUNNING!The Cathedral of St. Andrew is a Gothic-Romanesque church which was one of the stops along the Way of St. James; a pilgrimage route through northern Spain to Santiago de Compostela. The church is part of Bordeaux’s UNESCO area. The cathedral is a treasure trove of art and bears some beautiful architectural features like the rose window above the entrance and funeral murals. 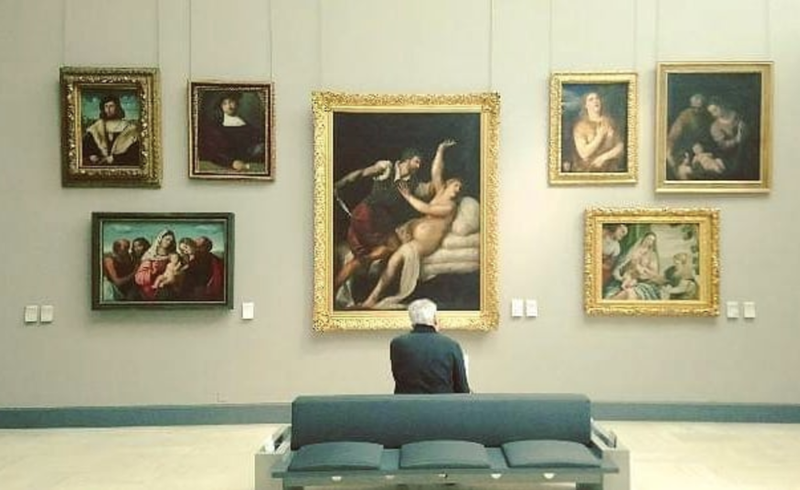 The Museum of Fine Arts Bordeaux is one of the largest museums in France and was established in 1801 by painter Pierre Lacour. The paintings, sculptures and drawings on display represent European art through the various periods of history. The historic heart of Bordeaux is located behind the 18th century Place de la Bourse. Start at the Place de la Bourse, which opens out onto the river and splash through the miroir d’eau, then walk up the little rue Fernand Philippart (the old rue Royale) past the house of the merchant Castagnet. Number 16 was built in 1760 to show off Castagnet’s riches. This is a small but lovely part of Bordeaux. Full of bistros, bars and individual shops, this gives you a real sense of the old city. The Place itself is an architectural delight with a fountain at its center. Pick up the Urban Wine Trail leaflet, or download the app from the Tourist Office, and stroll round the city's selection of wine bars. Becasue we visited in the winter time we missed out on doing a day trip to wine country. I’ve collected the following info from The Telegraph. If you’re in Bordeaux on a short break and fancy a wine trip out of town, consider going on one of the Tourist Office’s jaunts. This saves the hassle of hiring a car or otherwise making your own arrangements. It also gets you a vineyard ride in a coach and two good wine château visits. In short, it provides a decent taster (though will probably be of less interest to the wine fanatic or expert). The trips are daily from April 1-November 15; on Wednesdays, Saturdays and Sundays for the rest of the year. They cover different appellations (or wine districts) each day. They start from the Office de Tourisme (12 Cours du 30 Juillet) at 1.30pm and cost €42 (£37) per person. Of private wine tour providers, Bordovino (00 33 557 300427) cover the ground well with youthful enthusiasm and a distinct lack of stuffiness. They offer a good range of vineyard visits – mainly in minibuses – but also cycling tours, tasting classes and more. A half-day tour to, say, the Médoc comes at €89 (£79). Small outfit Wine Cab (00 33 6 63 09 17 17) can take up to three adults in (former) London taxis with driver-guides for château visits and tastings. You can also get stuck into wine blending (assemble your own Margaux), the matching of wine to posh food like caviar and other activities too. The outings are expensive – from €450 (£400) for two people – but, if you have the cash, you're unlikely to account it wasted. This beautiful old wine town, a 40-minute drive west from Bordeaux, is built like an amphitheater and has some pretty decent wines to sample. If you visit only one wine area, this is the one to consider. Alternatively, potter out up the Gironde estuary to where the really famous Bordeaux wine châteaux (Latour, Margaux, Mouton-Rothschild) rise amid the featureless flatlands like ancien régime seigneurs. One of the most rewarding to visit is the Château Pichon-Longueville-Comtesse-de-Lalande at Pauillac – a manicured spot if ever there was one. 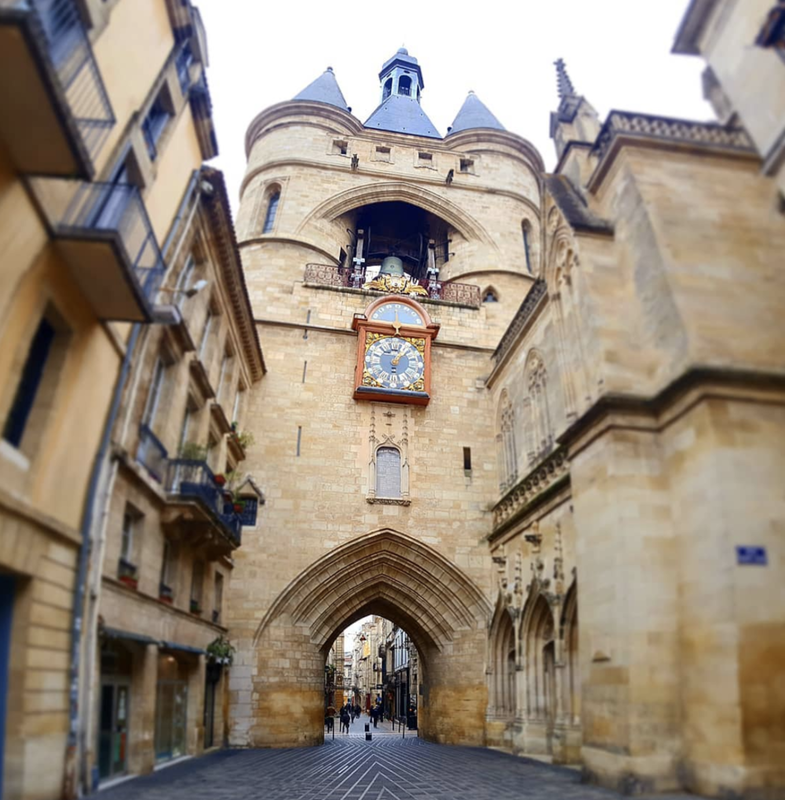 Bordeaux is one of those cities that’s incredible for a city break and a longer little jaunt into the countryside and vineyards that surround this region of France. 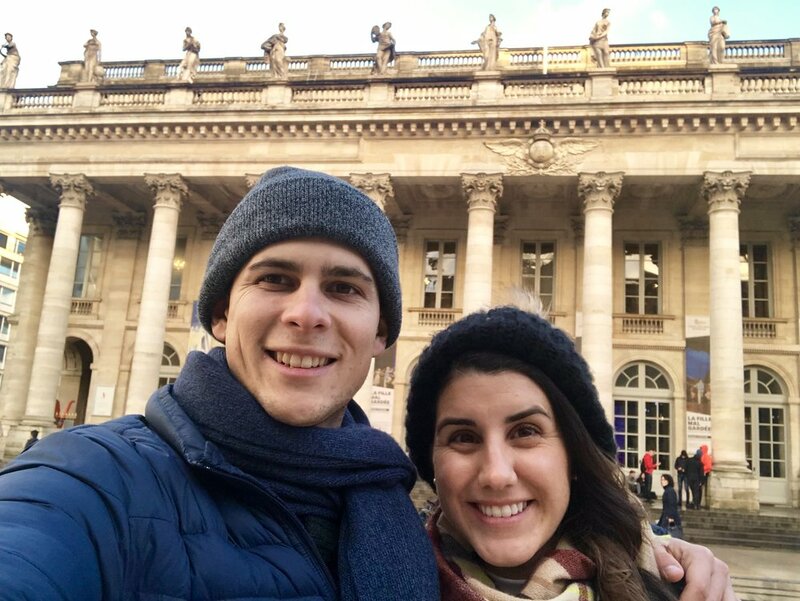 Visiting Bordeaux after Paris was a true breath of fresh air. I know I will return in the future. Have you visited? What’s your favorite reason to visit this great city?